Environmental groups will ask the Appeals Court to issue an order halting work on the REM project in the Technoparc wetlands. 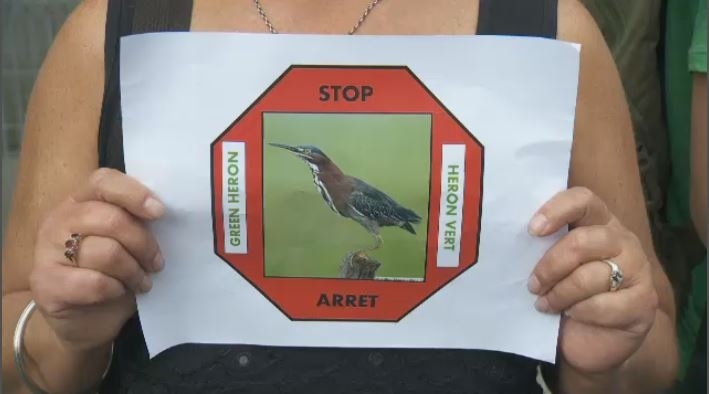 They say they will do whatever it takes to try and protect a principal nesting site for herons on the Island of Montreal. The lush ecosystem in St. Laurent is unspoiled, except for some equipment and fences that indicate work is underway on the light-rail project. Environmental activists say it’s wrong to alter the landscape before the group’s main court case has been heard. As a result, they’re trying to stop the REM construction altogether. The group plans to file a motion before the court of appeal asking for a safeguard order. If granted, it would temporarily stop construction in the Technoparc wetlands. 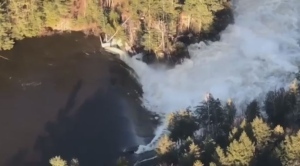 It’s a biodiversity crisis, they say – in order to build the train line and station in St. Laurent, more than 200,000 trees will be cut down. The wetlands are home to the largest heron nesting colony on the island. “If the station in Technoparc was moved two streets over, it would not be affecting any endangered species,” explained Lisa Mintz from Sauvons la Falaise. Even though the motion that will be filed implicates the Caisse de Depot, the developers and managers of the REM, the groups are also appealing to Montreal’s Mayor to stand up and protect the Technoparc wetlands. The Plante administration was unavailable to comment today.